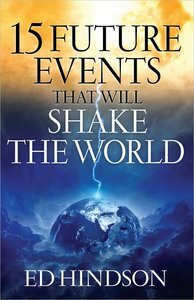 About "15 Future Events That Will Shake the World"
Dr. Edward Hindson (Th.D., Trinity Graduate School of Theology; D.Min., Westminster Theological Seminary; D.Phil., University of South Africa) is the assistant chancellor and dean of the Institute of Biblical Studies at Liberty University in Virginia. He has authored twenty books and edited the Gold Medallion Award-winning Knowing Jesus Study Bible. The author's other titles include Isaiah's Immanuel; Revelation; Key to Unlocking the Future; Antichrist Rising; God is There in Tough Times; Courageous Faith and Zondervan KJV Commentary.